Oh My WOW!! FSJ did not disappoint — The knocked it OUT OF THE PARK! New catalogs are coming July 1st- reserve your copy with me today! if you have ordered from me in the last few months you will be automatically getting one. 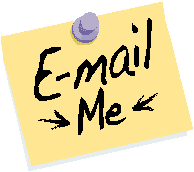 if you have not- email mail me right away. this catalog is SO MUCH BETTER than last years! And here is my card for today! Super Cute don’t ya think? So Excited that Tropic-Cool did not retire!